Amherst Self Storage is more than a storage solution in Belchertown MA. Let us help you with the right moving supplies for the job! Make life easier by purchasing moving supplies. Whether your valuables are moving to storage for a long time or just a quick move, choose the moving supplies that assist you. At Amherst Self Storage in Belchertown MA we offer interior storage units and drive up self storage options to provide a comfortable environment for your valuables. 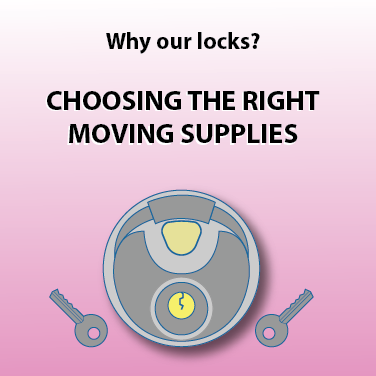 Packing supplies such as boxes, bubble wrap, and tape are important, but it is important not to forget about locks! So, you have chosen a unit, but you want to make sure your items are secure, right? Start with a lock! Our self-storage experts at Amherst Self Storage offer a secure lock you need to make sure your items are safe. Consult with our self-storage experts and they will help you get the items you need. Our on-site office is can make storing your belongings painless. It is easy to get disorganized and forget important items during your move, but with moving supplies sold on site and storage professional at the ready, Amherst Self Storage is ideal storage. We are happy to offer boxes, packing tape, bubble wrap, and furniture covers to assist you in the protection of your valuable items. Do you have packing supplies, but are still unsure of what unit to rent? No problem! Use our storage calculator to help you decide what size unit fits your needs. Lastly, if you have anymore questions, do not hesitate to consult one of our self storage experts at Amherst Self Storage. Purchasing moving supplies to benefit charity. In support of breast cancer awareness month, we are pleased to announce our partnership with the Susan G. Komen Foundation. For every moving supply purchase made, a portion of the sale will be donated to support the search for a cure.